Why Top Up Using Your Debit Card? Top up from the comfort of your own home. Top ups are instant and funds are available on your SWIRL Mastercard immediately. Top up max. €1,000 per day (max €500 per top up). Debit card top ups are secured by using your 3D Secure password. No risk in carrying large amounts of cash to a shop in order to top up. Log into your online account and click on 'Top Up via Debit Card'. Enter the amount you wish to top up. If you cannot remember your password, simply click on the "Forgot your password" link to reset it. 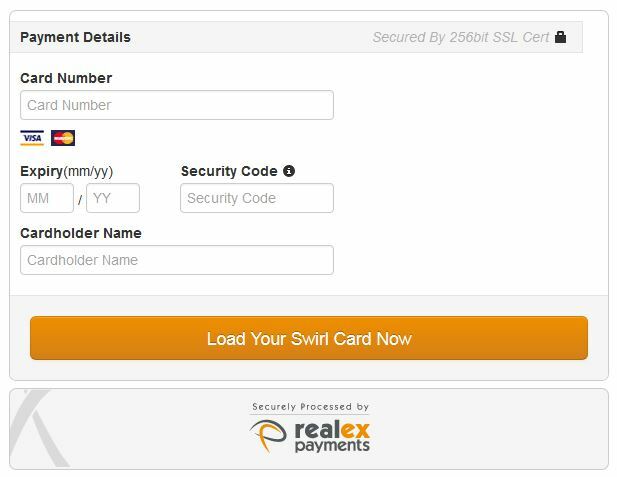 If you have any questions or need more information send us an e-mail: info@swirlcard.com or use our Live Webchat customer service tool. Copyright © 2011-2019 Smart Transfer Ltd.